The British Irish Trading Alliance is a non-profit making organisation that encourages its members to build relationships to generate business through exciting networking, educational and social events held in both countries. Our mission is to promote and strengthen trade between both countries through a friendly, driven and diverse group of like-minded professionals. Set up by a group of Irish business people working in the UK, we offer a helping hand to people of both countries who are relocating and adapting to cultural changes in either country. We live by our motto: People who know people that help people and assist these relocating professionals in branching out and building relationships with other business people in Britain, Ireland and further. Our board members are experienced business owners and professionals from a wide range of industries and sectors who promote BITA as a diverse organisation. A pre-requisite of membership is that connections and knowledge are shared, so all have the opportunity to forge successful and profitable networking relationships. The idea of BITA was born in summer 2012 when President Paul Whitnell relocated to the UK and found himself spending time creating links between the Irish and UK businesses he came into contact with. Soon realising that a unified entity made of skilled professionals would be much more effective and could achieve more for business people of both countries together than separately, Paul set about setting up a foundation that could help nurture these relationships. A collection of Irish Business people were brought over to the UK by Paul Whitnell, sharing a vision of doing what they could to help Ireland get back on its feet following the recession. Some of this group who already had successful companies in the UK were also interested in how they could help, with the inclusion of Irish based companies in all sectors and what this would provide to the Irish businesses taking part. Our Patrons are helping us forge better relations between business people in Britain and Ireland. Ray O'Rourke is the Chief Executive Officer of Laing O'Rourke Construction and is the British Patron of BITA. Gavin Duffy is a serial entrepreneur, a veteran of over 40 start-ups and has been a Dragon for all 6 series of the RTE Show. Sean Mulryan is an Irish property developer and the founder and chairman of Ballymore Group, a Dublin based international property development company. The Comer brothers Brian & Luke originally from Co. Galway, Ireland have created one of the UK's largest and most successful property companies. Sean O'Driscoll is the cheif executive and chairman of the Irish group Glen Dimplex, one of the world's leading manufactures of electircal heating technology. 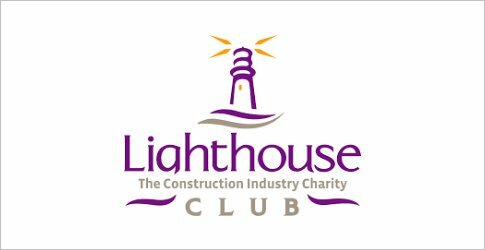 BITA are proud supporters of the Aisling project, Lighthouse Charity and Goal. We contribute to these charities through fundraising and other activities.